For New Years 2017, we at Elmer Racing are very excited to announce our RX2017 FIA RallyCross Super Car "custom engine -rule" engine package! 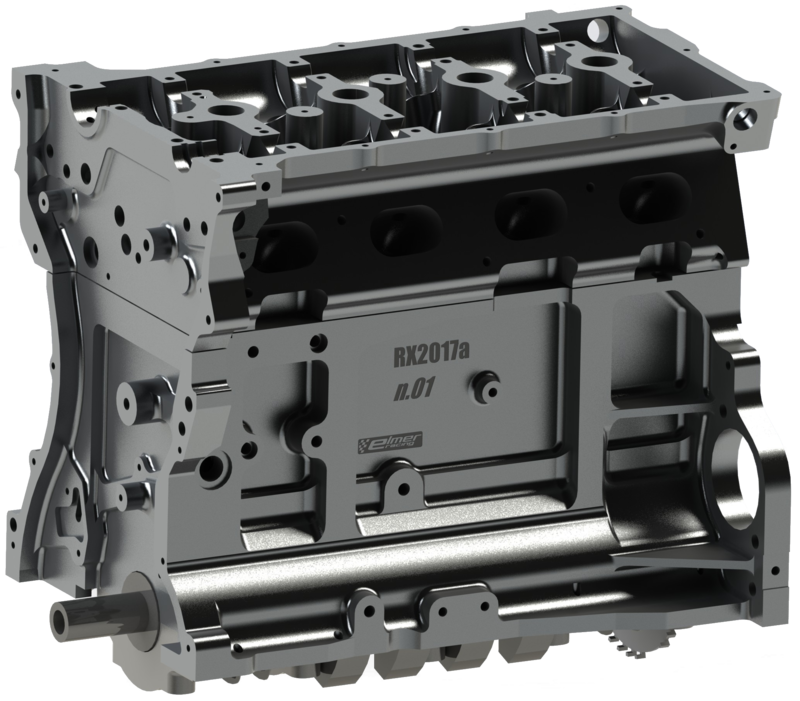 The ElmerRacing RX2017 package is not a copy of existing manufacturers engines, but rather a fundamental review on what the optimal way is to produce the fastest possible race engine package. Based on a analytical starting point to the design process, as well as a couple of engine package innovations, we expect the ElmerRacing RX2017 to be the most powerful package on the grid. While also providing the driver with the best throttle response. We're targeting a "race-ready" -status for the first race of the 2017 season, at the FIA RallyCross race in Barcelona on 1.-2.4.2017. Development of the complete RX2017 package to it's full potential will take some time tough. We will be the only manufacturer on the grid that produces a complete rally cross supercar "custom engine" -rule engine package in-house. We feel it's essential to develop the ecu in combination with the engine. This allows for both a more robust and capable engine and sensor setup, as well as very advanced ecu functionality. While still fully respecting the FIA ban on traction control and other driver aids, as well as other rules. Dinosaurs of the rally cross world, beware!